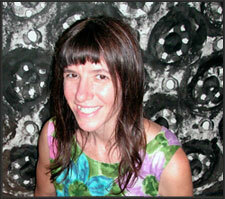 Laura Jean McLaughlin received an MFA in ceramics from West Virginia University. Laura Jean’s work has been exhibited in over one hundred galleries and museums, including the Ogden Museum of Southern Art, the Mobile Museum of Art, the Montgomery Museum of Art, the Ohio Craft Museum, the Carnegie Museum of Art, the Delf Norona Museum, the San Angelo Museum of Fine Art, the Baltimore Institute of Art and The State Museum of Pennsylvania. She is a recipient of the Maggie Milono Memorial Award from the Carnegie Museum of Art and three prestigious residencies from Kohler Company in Wisconsin. Laura Jean’s ceramic work has been featured in various periodicals, including: Germany’s New Ceramics, Korean Ceramic Art Monthly, Ceramics Monthly, Clay Times, American Style, American Craft Magazine. Her work is featured in the following books: Confrontational Ceramics, 500 Figures, 500 Teapots, 500 Bowls, 500 Cups, Poetic Expressions of Mortality. She received an NEA Grant for a project working with the Hmong refugee community at the John Michael Kohler Arts Center, a Mid-Atlantic grant for a large mosaic installation in Baltimore, as well as a Mid-Atlantic Fellowship at WVU. Laura Jean Has created over 100 collaborative mosaic murals and installation throughout the city of Pittsburgh and as far away as Tolne Denmark. She also created a large set of mosaic mural steps with the Southside community and is currently creating mosaic sculptures for Library Park at the Carnegie Library in Carnegie, PA. Her work is in the collection of the City of Pittsburgh, The Children’s Hospital of Pittsburgh, Carlow College, Whole Foods Market, the Porter~Price Collection, Kohler Art Center, Kohler Company, and HBO in New York. Click here to view Laura Jean’s CV.